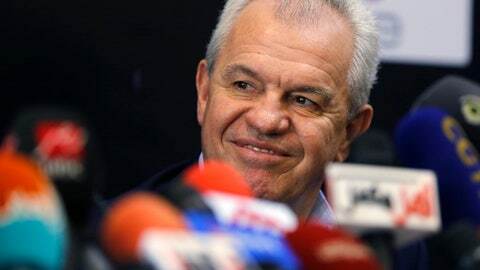 CAIRO (AP) Javier Aguirre became the new coach of Egypt on Thursday despite his involvement in a match-fixing investigation in Spain. The case involves Spanish clubs Levante and Zaragoza in 2011. The prosecutors cited evidence Zaragoza paid 965,000 euros to Levante’s players to lose a match to Zaragoza. Coached by Aguirre at the time, Zaragoza avoided relegation by beating Levante 2-1 in the final round of the season. ”The case was closed and I don’t know why it was reopened,” Aguirre, a former Mexico player and coach, said. ”He has a respectable and impressive track record in Spain,” Abo Rida said of Aguirra, who coached Zaragoza, Espanyol and Athletic Madrid. Egypt’s first competitive match under Aguirre will be an African Nations Cup qualifier at home on Sept. 7 against Niger.